Full confession: this was originally supposed to be a peach cobbler-like smoothie but the second peach I had got eaten before I made my smoothie. So I had to improvise. Luckily it still turned out really yummy. 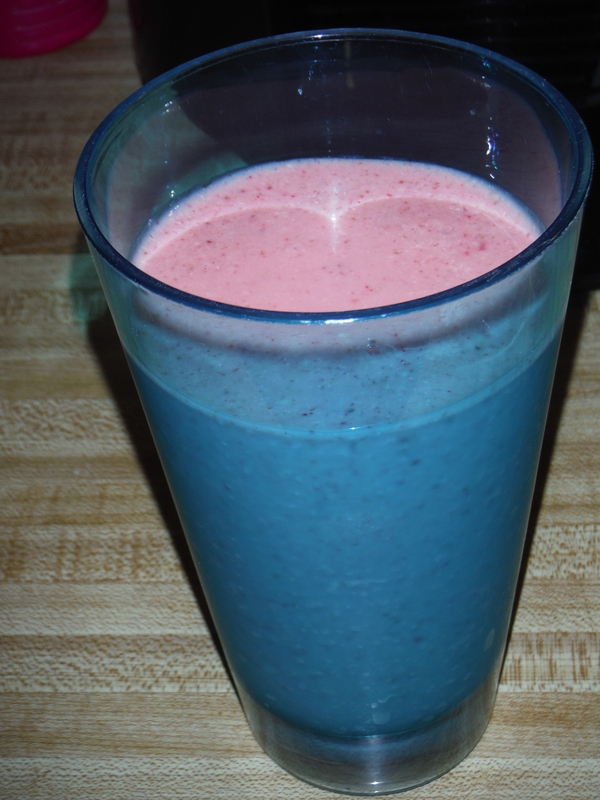 If you do want to make this a peach cobbler smoothie, just use 2 peaches and cut out the strawberries. Either way this will be a lovely late summer smoothie. In a blender, combine the first 5 ingredients until mostly smooth. Add the sugar, lemon juice and salt and blend until well combined. Pour into a tall glass and enjoy! 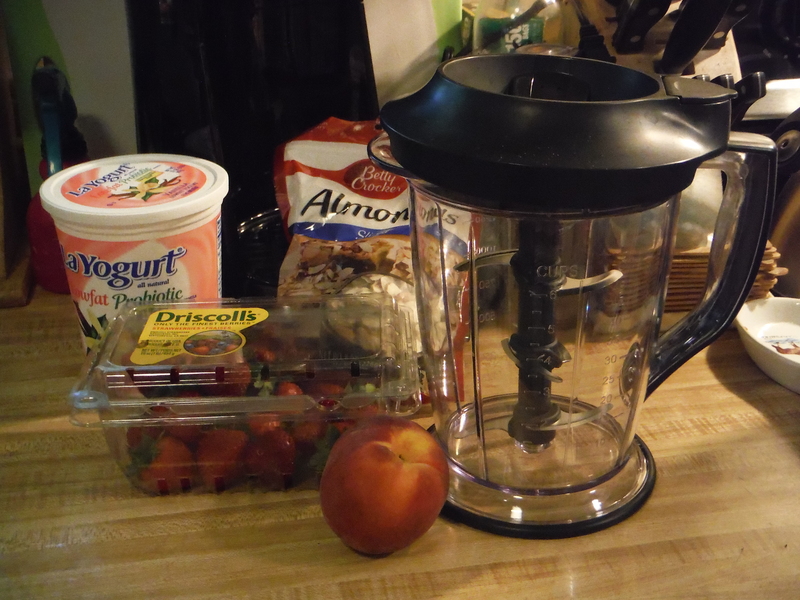 Posted on August 23, 2015, in Etcetera and tagged almond, breakfast, gluten-free, healthy, peach, recipes, smoothie, Smoothie Sunday, strawberries, yummy. Bookmark the permalink. Leave a comment.